Designed to twist into our needle base/caps. These stainless steel, blunt ended needles are perfect for all your Jagua/Henna ink tattoo gel application needs. Comes in a pack of 10 pieces. Perfect for occasional business and temporary jagua/Henna ink tattoos enthusiasts. gels. They have the ability to twist in the base or caps to fit well and make it smooth and easy for you to discharge the gel from the bottles. The fact that they are stainless make them mess free and also easy to clean, hence you won’t have to worry about causing mess around each time you are working on your body arts. Get your package today and enjoy the versatility that comes with using professional applicator needles for jagua ink tattoo gels. Though there are applicator needles in the market, ours are more superior to the rest for a number of reasons. It is not just the design of our applicator needles that make them the best, but their functionality also makes them the top preference for many henna and jagua tattoo enthusiasts. For instance, they are easy to swap and they also release the gel in a smooth and also manner, thus giving you the ability to work even on detailed design with great precision, resulting into high quality and professional looking body arts. 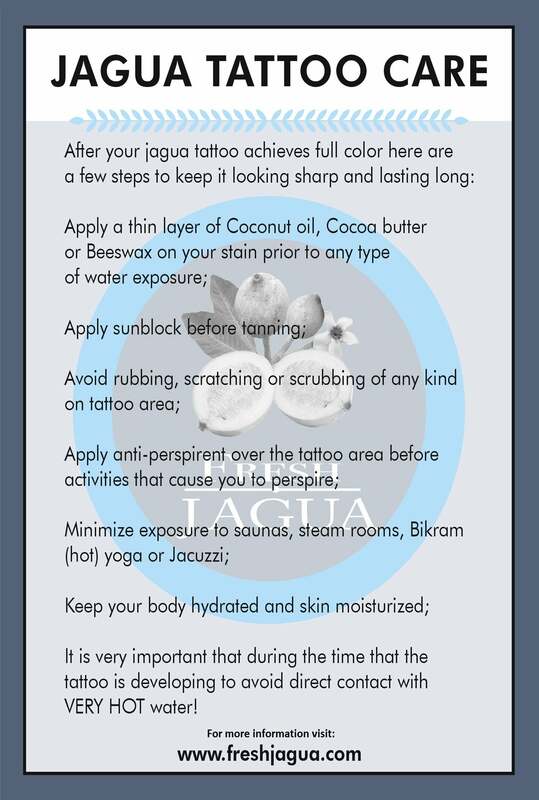 Jagua - What is it?